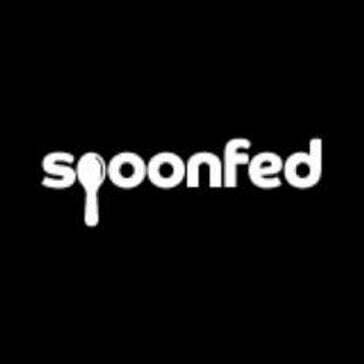 Spoonfed is an online catering software that allows you to generate profit by managing time, workflow, and cost. "Great tool to improve business efficiency"
Spoonfed allows you to create a wide range of production sheets and reports, that makes your life easier when it comes to kitchen production. The customer service is very quick to answer to all your queries. The client interface can be improved now, to be more friendly and with a better design. Would be also good to think about a Spoonfed app, since our clients want now to order with their smartphones. Spoonfed reduces your risk of making mistakes since orders are booked directly by the clients online, so there is no need to enter orders manually anymore. "Great Software for the catering business"
It's easy to use, the team are very responsive and helpful, It helps us organise our business and clients love being able to book online. No Dislikes as anything that comes up that I'd like adding seems to be in the pipeline and does get added so All In All nothing I dislike. Organising the whole process from taking the enquiry to delivering the food. it's very easy for all departments and has made a big difference. "Great customer service and overal product "
"Great software, making business possible. " User-friendly interface for both back end and front end making the managing of our catering services easy and appealing. Could use more analytics tracking of customer journey into and out of the API. We have streamlined our ordering process for our customers making it easy to receive orders easily and store data in a centralised user-friendly way. There doesn’t appear to be a sense of urgency with staff. Spoonfed allows for me to focus more on other aspects of my events. I know I can trust them to get their part done. "Great food delivery software solution"
A good range of reporting options. Great day-to-day organisation of orders from point of order through delivery and invoicing. There is less human error now as the software has taken over processes that were previously done manually. Simple to use, simple to move around the site, simple portal with great data. reduction in management reporting time. "Easy way to order for your clients"
Allows your clients to order what they want without having to go through your employees. There's nothing specific that I can think of. "Awesome software to keep business organized"
Great tool for placing orders in a uniform way and keeping future orders organized. The user interface and overall design could be updated to improve its ease of use and navigating. "Spoonfed allows risks to be minimal when ordering"
That the clients have full control over orders. I have not have any issues thus far utilizing spoonfed in my office. * We monitor all Spoonfed reviews to prevent fraudulent reviews and keep review quality high. We do not post reviews by company employees or direct competitors. Validated reviews require the user to submit a screenshot of the product containing their user ID, in order to verify a user is an actual user of the product. Hi there! Are you looking to implement a solution like Spoonfed?